What could be better that putting on your skis and whizzing down the ski slopes for the first time after the summer? As a long-serving member of staff at the Zauchensee Lift Company, I know that ski area preparation for the coming winter season starts well before the first mountain peaks are white. I’ll give you an idea of what’s involved before skiing can start. The cows have already been herded back down to the valley after their summer up on the alpine pastures and fences have been taken down. All snowmaking equipment and machinery is put into position by my colleagues and set up ready for action. 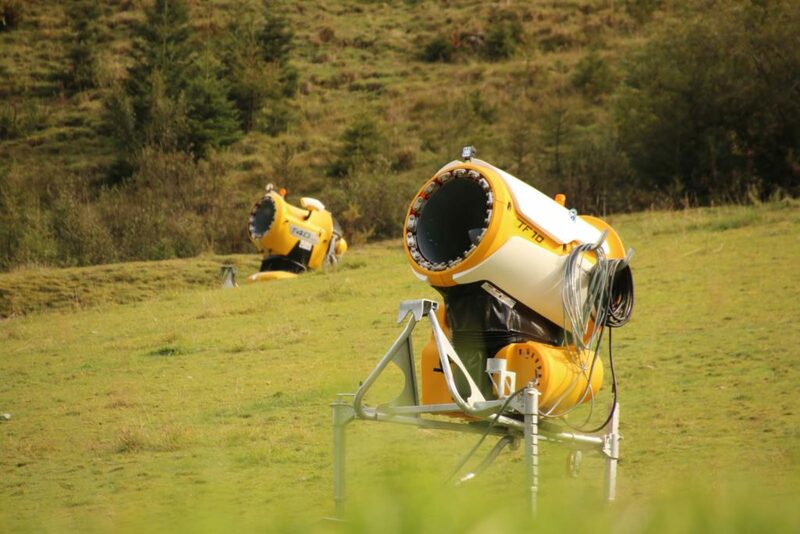 Every year we check every single one of our 160 snow cannons for any defects and carry out any necessary maintenance. Some snow cannons even have to be airlifted into position by helicopter. The remaining snow machines are transported up by tractors and snow cats and set up. From experience we are generally able to start snowmaking the end of October/beginning of November, whereby air temperature and air humidity need to be just right. In order for the pistes to be skiable at the end of November or the beginning of December, the artificial snow is spread and bashed. The cash registers and ski ticketing systems also need to be updated and activated. There are, as always, a variety of “bonuses” in the pre-season period, such as cheaper season ski passes and deals for children and teens. So that winter sports enthusiasts can enjoy tasty cheese gnoochi this season too, the restaurants need to be whipped into shape. With a dose of ski hut feeling. As soon as artificial snowmaking and signposting is underway, it‘s not long until the start of the season. I find it particularly satisfying to see how the guests share my enthusiasm and enjoy skiing after a successful season opening. Especially in early winter I can recommend you get up early and savour morning skiing in our fantastic ski area. The pistes are still pristine and the feeling of being the only person whizzing down the slopes is really fabulous. One of my favourite slopes is the eastern descent from the Gamskogel. Long and wide it is perfect for wide turns and a real pleasure – come an try it for yourself, I’m sure you’ll love it.